WASHINGTON — The Woodside One Wheelers turned heads at the Independence Day Parade this week. 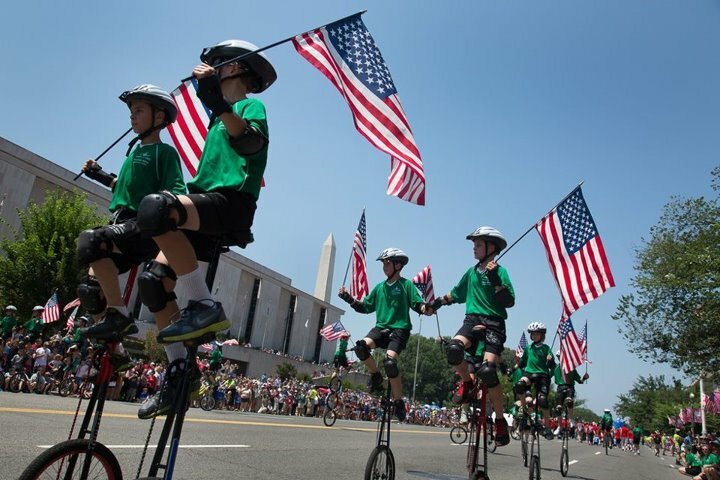 The group of more than 30 riders made their way down Constitution Avenue as they balanced on one, two and even three wheels. Some of the riders also juggled. The group came all the way from Maine.